Frank McMahon was born in Loxton, on the RiverMurray in South Australia, in 1926. He died on 4 October 2010, in Canberra, aged 83. 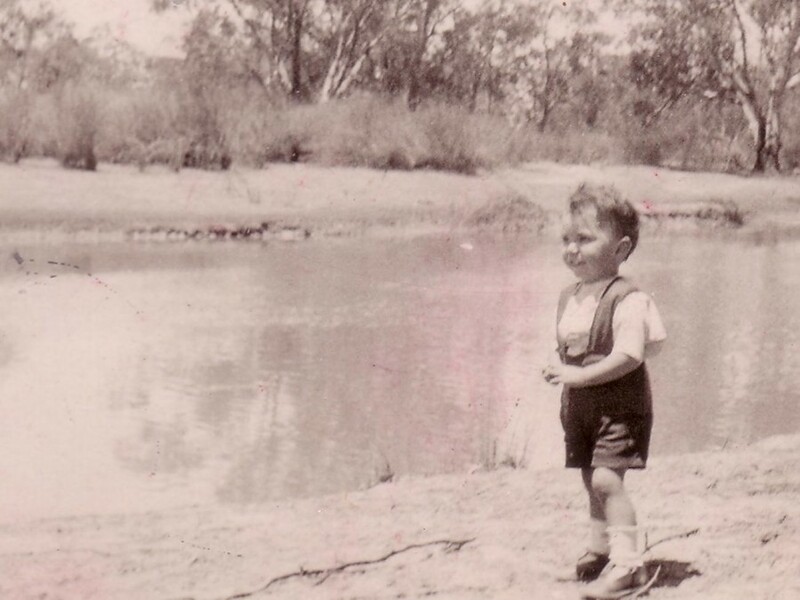 Frank’s childhood was spent in many places throughout South Australia since his father was a foreman of a Postmaster-General’s Department telephone line team. He enlisted with the Royal Australian Air Force during World War II and continued to serve after the war. He then joined the Commonwealth Public Service and studied at the University of Adelaide. After graduating in 1962 he moved with the federal Department of Treasury to Canberra. He lived in the Canberra suburb of Ainslie. Frank’s work was published widely in newspapers and journals, and he self-published two collections: Tide Pools and The Asphalt and the Stars. He won several Australian awards for poetry, including The Bronze Swagman. He wrote commissioned works for the Australian War Memorial, including an inscription on a granite slab at Australia’s Parliament House and a haiku used in the War Memorial’s exhibits. His words are presented here by his daughters and with the full support of his wife Wanda. We feel he would have loved to have it available to all. As we build the site, please excuse errors and leave a comment should you find one. I’m very happy to give my support to having the works of this great Australian poet available in this form. I owe a lot to Frank and his wife, Wanda for the many years of great companionship, terrific car rallies and many hours of exchanging poetry and prose. I’ll never regard myself as able to turn several words into a memorable phrase of such poignancy as Frank could but I like to think my writing is coming on as I continually practise. I only regret that I’m unable to share it with Frank and receive those insightful, witty comments that only he was capable of.